Jan Traylen: Railings: Vanishing Point. 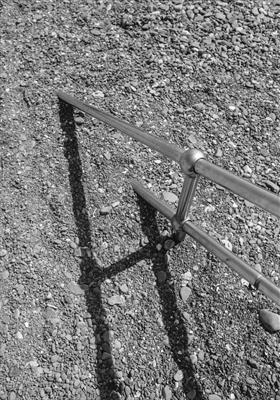 Stainless Steel railings covered by the pebbled beach at Dawlish Warren. These steel bars are covered by the pebbled beach.